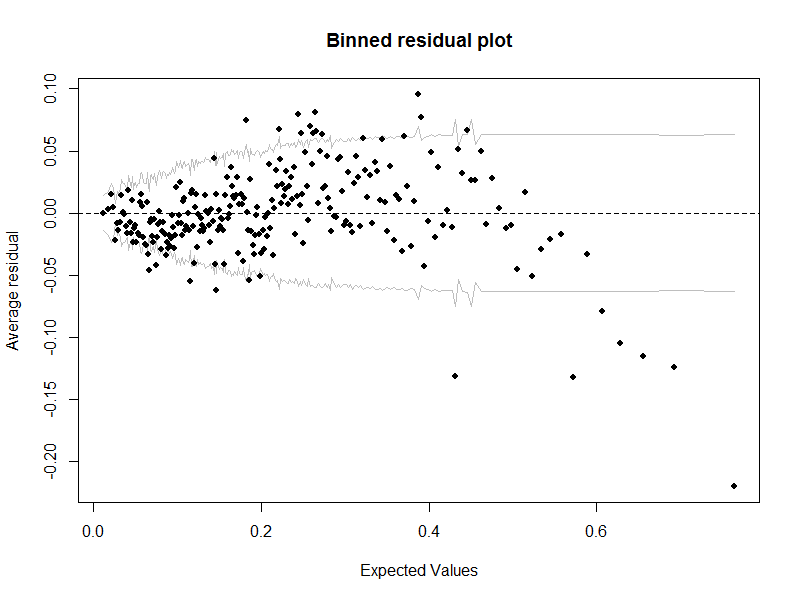 Obviously there are some bad signs in this plot: many points fall outside the confidence bands and there is a distinctive pattern to the residuals. My question is - can I attach these issues to specific assumptions of the logistic regression model? For instance, can I say that there is evidence of non-linearity in the independent variables or of heteroscedasticity? If not, are there other diagnostics I can produce to help identify where the problem lies? which is much more believable. Either I am misinterpreting your plot or there is some problem. 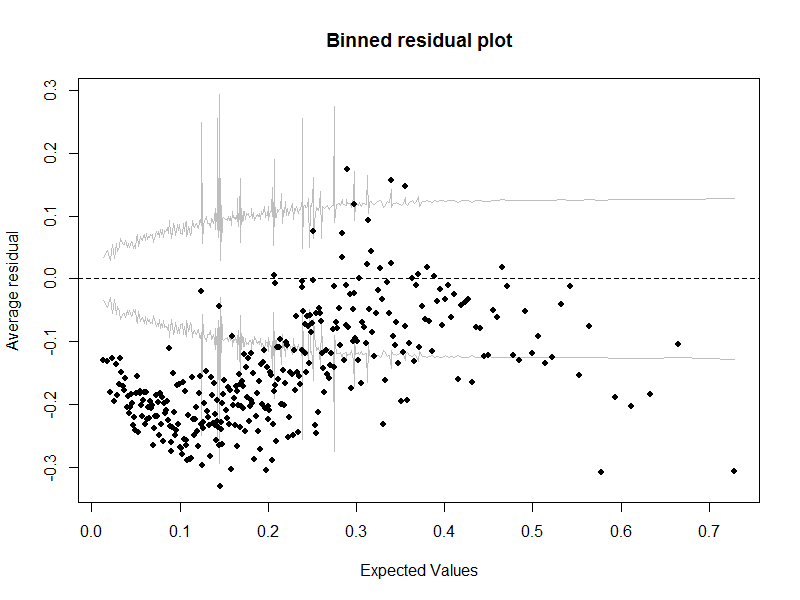 The fact that you have negative residuals for near 0 expected values implies that your model is predicting negative value. This should not be possible for logistic regression models which only predict in the (0, 1) interval, unless you are using the log-odds output of the model in which case residual error should be undefined. Since logistic regression is a classification method, it is more useful to look at the confusion matrix first. You should also specify if the graph is based on the train data or a separate test set. Not the answer you're looking for? Browse other questions tagged regression logistic residuals or ask your own question.